Designed by Piero Lissoni. 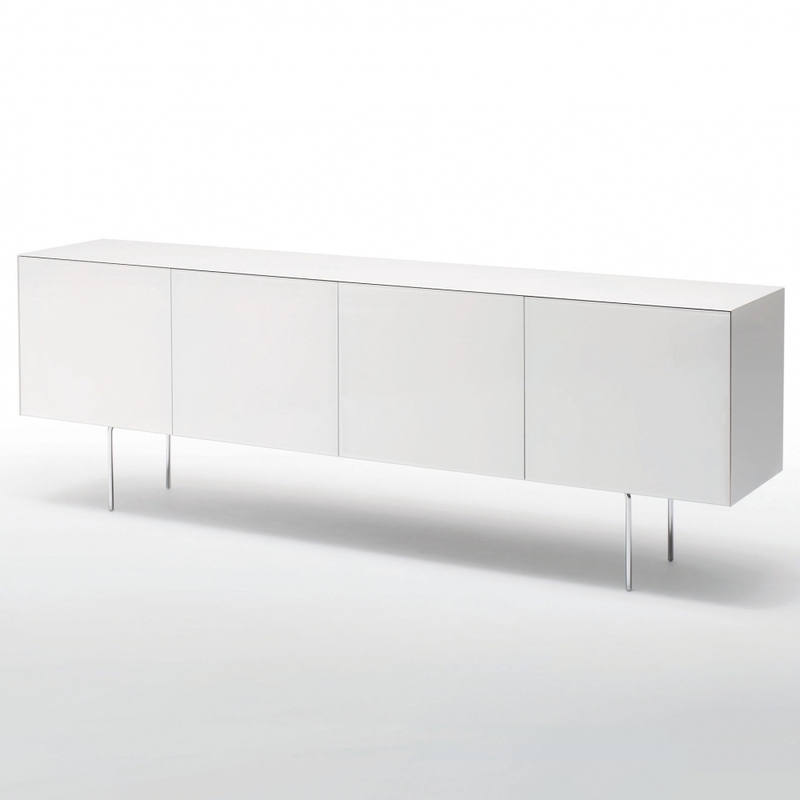 Series of storage furniture in tempered glass, lacquered or opaque satined, glued 45°. The interior is in laminated wood opaque charcoal coloured wood with mirrored base, under top and back and is provided with shelves in 10 mm. thick tempered transparent extra light glass. Two sizes are available with cylindrical legs in chromed metal, fixed to the piece of furniture through steel frames. The doors have a push-pull system.